The sidewalk below Zifeng Building in Nanjing, east China's Jiangsu province, was cordoned off after high winds broke its window, sending shards of glass to the ground, the Yangtze Evening News reported on Wednesday. 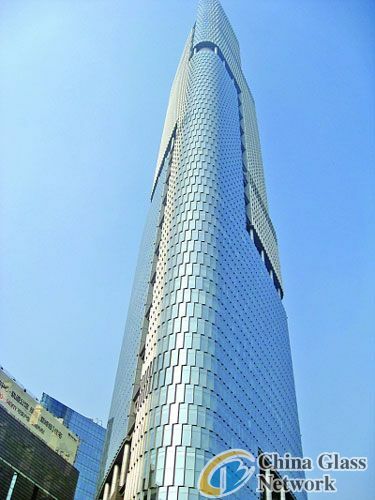 No one was injured when part of a window fell from the 6th floor of the Building, the tallest skyscraper near Nanjing's Gulou. The time of the incident was 10 pm on Dec. 26. The property management personnel of the building, surnamed Jiao said they had already noticed the crack on the window, but they didn't think that heavy wind could break the window before its maintenance. The building staff cordoned off the sidewalk, and informed pedestrians of its temporary closure. In addition, other windows on the high-rise were found to have cracks in them. A staff member of the building said that they would get rid of these windows for protection as soon as possible.